I’m sure I read somewhere on a not-so-helpful inspirational poster that “the only roads we should regret are the ones not taken”. To be honest, though, if I knew where every road would end ahead of time, I’d probably be tempted to take a detour every now and then. But at what cost? Just how much would I change to achieve a certain outcome in my life and relationships? That brings me to an even more common inspirational saying: “It’s not the destination—it’s the journey”. The best way to enjoy the characters and relationships in Mass Effect 3 is by experiencing them. It’s not about the destination or the outcome—it’s about the moments you share with these characters. Yes, of course, some of them can be romanced, but where’s the fun in knowing that ahead of time? I honestly think you’ll enjoy each of the characters more by not knowing. Memorable Moments: Conversations with characters in Mass Effect 3 are more than just opportunities to gain information; they’re designed to be unforgettable. I challenged each writer to make every moment memorable. The moments didn’t have to be long, and they didn’t require a lot of words, but they had to mean something—to the character, to Shepard, and hopefully to you. One practical way we did this was to make sure there were no fixed locations for these moments. They could literally happen anywhere. And preferably in a place that meant something to the characters involved. 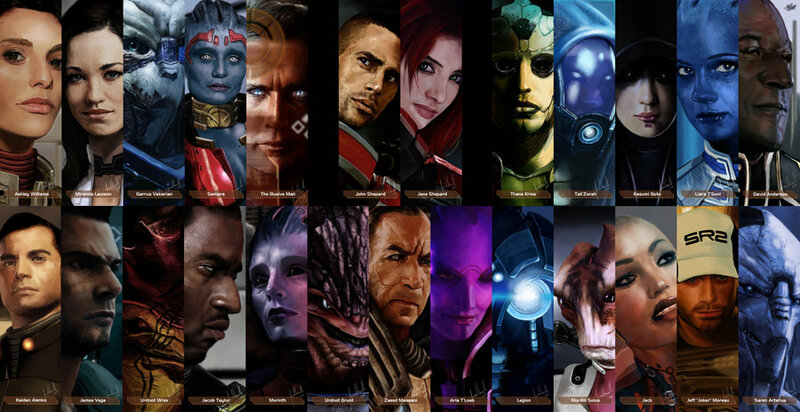 Dynamic Interactions: Now, more than ever, the relationships in Mass Effect evolve naturally. Characters react to your choices and actions, including, of course, romantic ones. We give you the opportunity to make every interaction mean something in the long term. It’s not simply about completing a conversation to get on to the next one; it’s about how you interact during each conversation. And it’s about each choice you make to evolve that relationship. Personal Relationships: In the past, you often became “closer” to the characters of Mass Effect simply through the exchange of information. That discussion could be about almost anything, but one topic was was rarely discussed outside of a final climactic encounter: Shepard’s relationship to that character. In Mass Effect 3, one of the topics that will come up—for those who are looking for it—is Shepard’s personal relationship with those closest to the commander. For some characters in Mass Effect 3, it’s been an emotional roller coaster ride with Shepard, and they’ve got something to say about that. These are just some of things we’ve done to ensure you’ll enjoy the relationships and characters of Mass Effect 3 more by experiencing them, not simply playing them. And for those of you who still desperately want that Roadmap to Love and Happiness™, you’ll soon be able to piece it all together from the details on the forums. Either way, I hope you’ll enjoy the creative ways we’ve breathed even more life in to the characters and relationships of Mass Effect 3. And, if you have any spoiler-free questions or comments, you can always reach me @macwalterslives on Twitter.